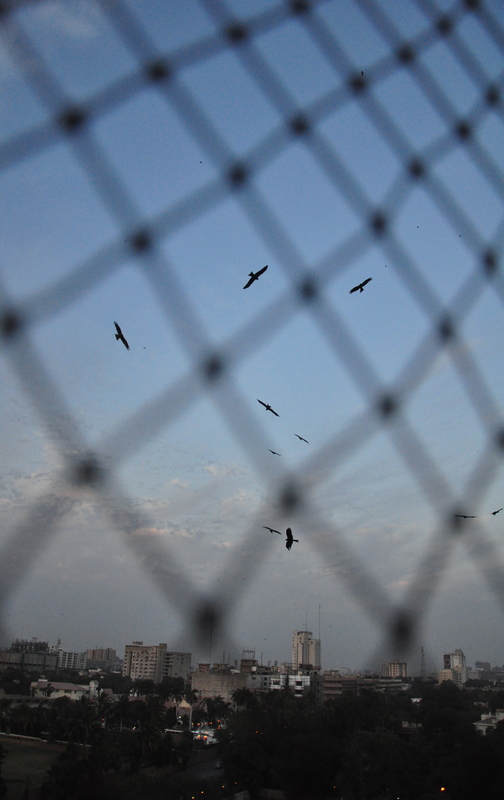 The squadrons of eagles circling above the city add to the mildly menacing atmosphere of a Karachi evening. 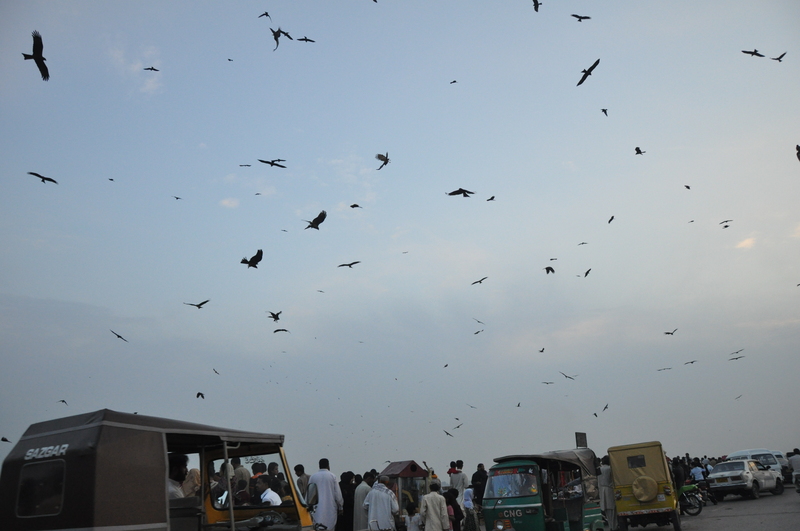 I don’t know what species they are – whether eagle, falcon or Brahmini kite. They are not that big. I once saw a dead one on the roof of the Sheraton hotel. 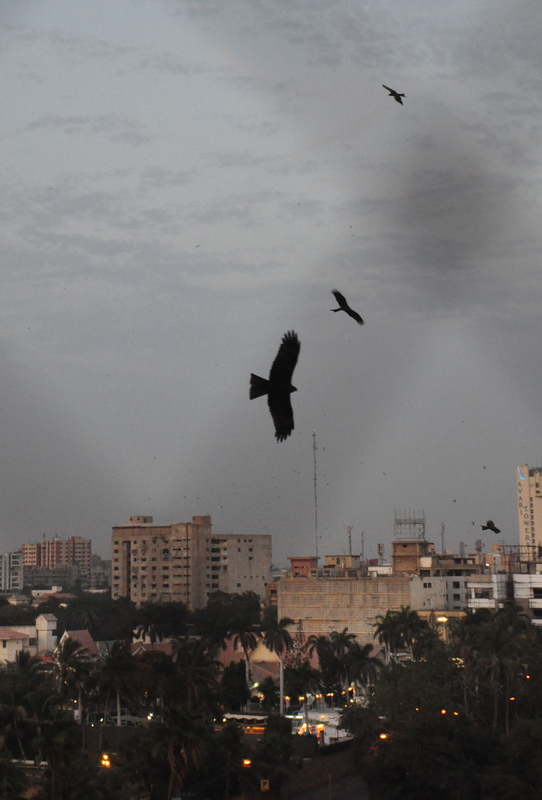 Nobody has ever explained to me why the skies over Karachi are always so full of birds of prey. 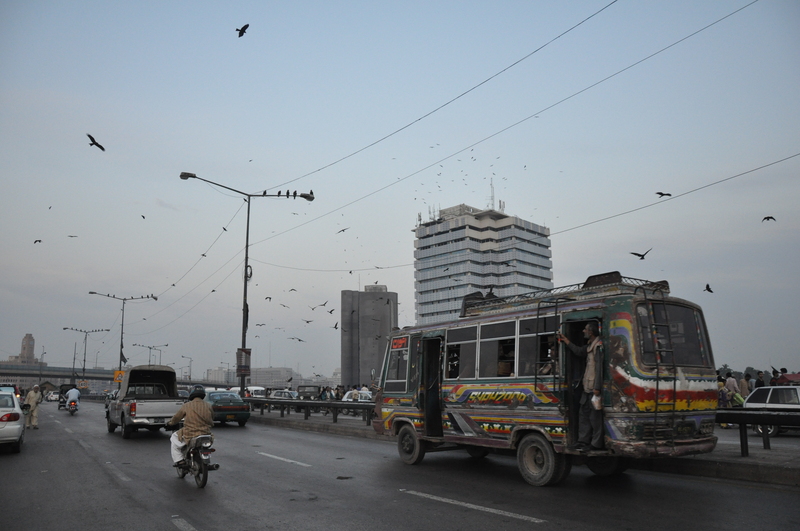 You see eagles in Lahore too but never as many as in Karachi.